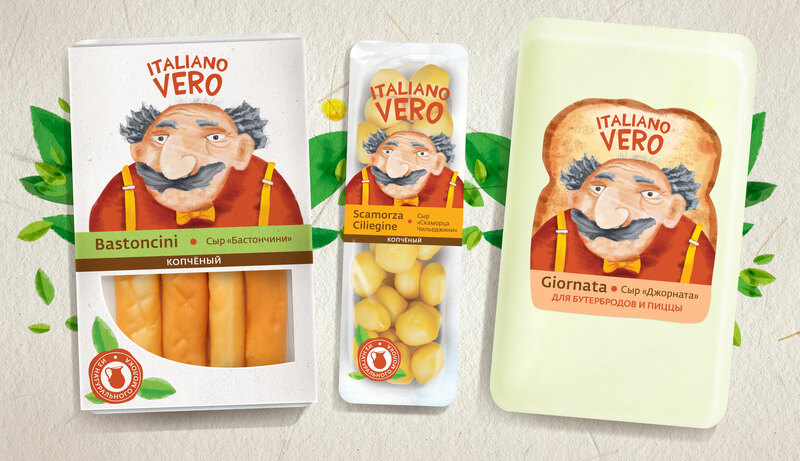 Italiano Vero is a new cheese brand — and also a new business for SKIT company, well-known as one of the major players in mayonnaise market. 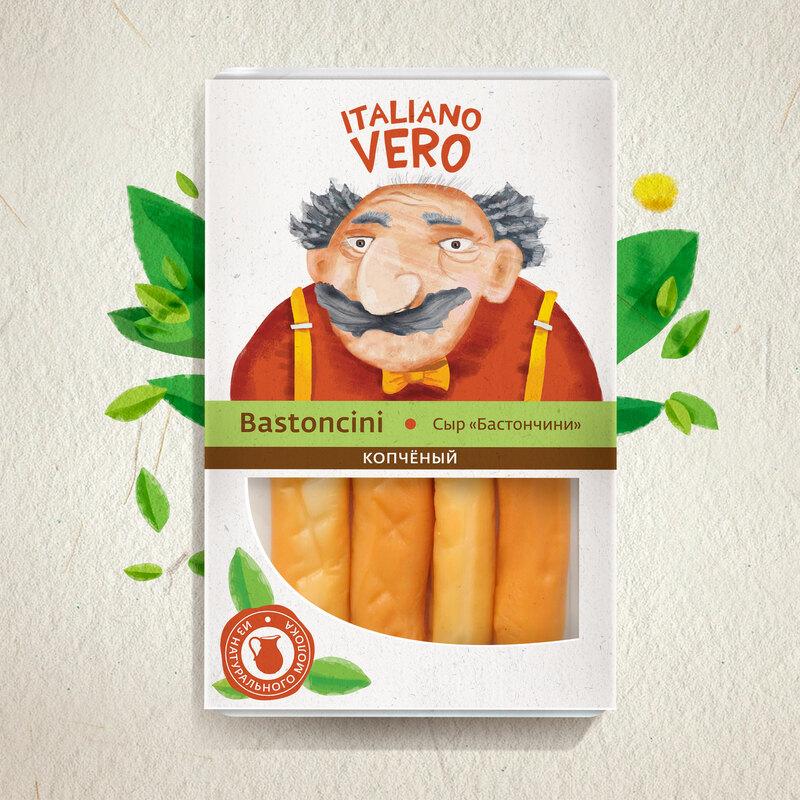 Bastoncini, Scamorza, Giornata… — all those are authentic, real Italian kinds of cheese. So, this Real Italian brand essence is depicted with the help of a mascot, a special personage. 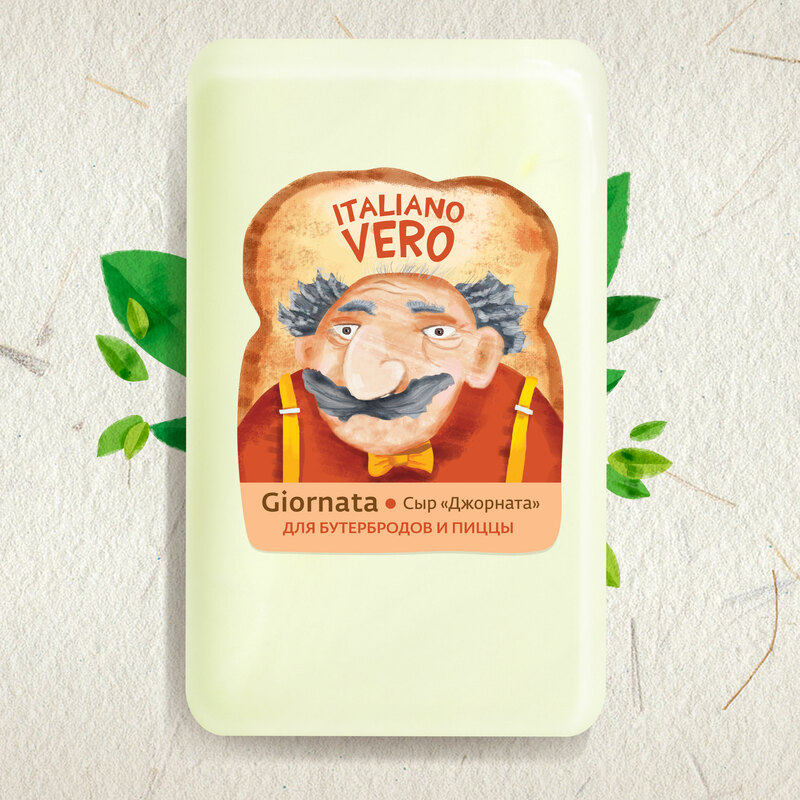 He is definitely a real Italian “papà”, a great cheese-maker and cheese-lover, and also an implementation of warm Italian home vibe. Creative concept, naming, packaging design. In 2016 Italiano Vero was recognized as Product of the Year on World Food competition.